Freedom with Pluralism, 9788193604441, 62pp. 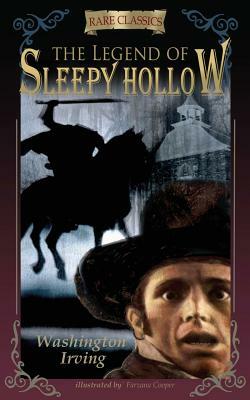 A sleepy little town is famous for its legend of the Headless Horseman and other specters. Ichabod Crane, the town's new school teacher, is fond of a good ghost story or two. He is in love with beautiful Katrina Van Tassel, but a handsome man named Brom Bones wants Katrina for himself. Then a party is held at Katrina's house that ends in the dead of night. What happens after that will give you quite a fright. The Headless Horseman is on the prowl, searching for his lost head. Does he encounter Ichabod? Will Ichabod gain the love of Katrina in the end? It is said that Washington Irving based his story on real-life events that took place in and around Tarrytown, NY. This classic story is brought to life in an abridged version for children ages 7-12 by authors Fiza Pathan and Michaelangelo Zane. The book contains sixteen beautiful black-and-white illustrations conceived by Fiza Pathan and executed by Farzana Cooper.